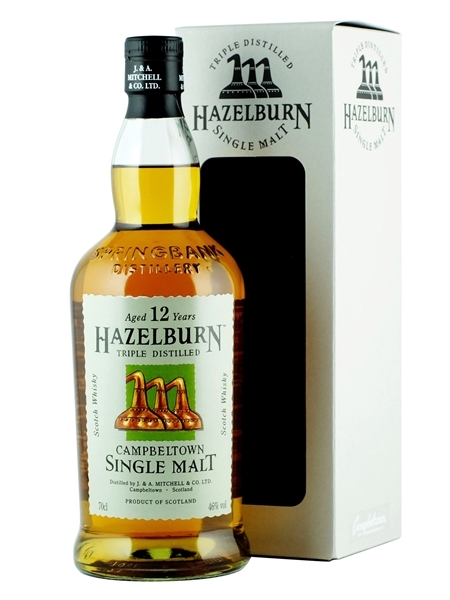 Hazelburn 12 year old single malt (~€65) forms part of Springbank's core range of whiskeys. Hazelburn 12 is triple distilled, matured solely in sherry casks and bottled at 46% ABV. This is an unpeated whiskey.